One of my least favourite things about myself is my inability to get back into the swing of things after having a little break. I have been nothing short of awful at posting over the last three months and I'm not even entirely sure why. But I've missed it a lot, so it's definitely time to find some more time to dedicate to both writing posts and catching up with my favourite reads. Summer is in full-swing. And by that I mean it's currently raining. Not just a little bit, but a lot. The weather presenter just described it as 'almost biblical'. But I'm not complaining. I've learned that I don't enjoy summer as much as I did when I lived beside the seaside. Summer in a land-locked county just isn't quite the same. But I'm keeping my fingers crossed for at least a few more weeks of uninterrupted sunshine before Autumn arrives. It has a magical happiness bringing quality that even I (the grumpiest person ever when it's too hot) can't deny. The majority of last weekend was spent live streaming Glastonbury. It looked like it had an incredible atmosphere, but I'm quite glad I avoided all the mud. I don't think I'm brave enough for festivals anymore! The London Grammar set was utterly beautiful, they're a mighty talented trio! How are you doing? I've missed talking to you! Do you have any exciting plans for July? 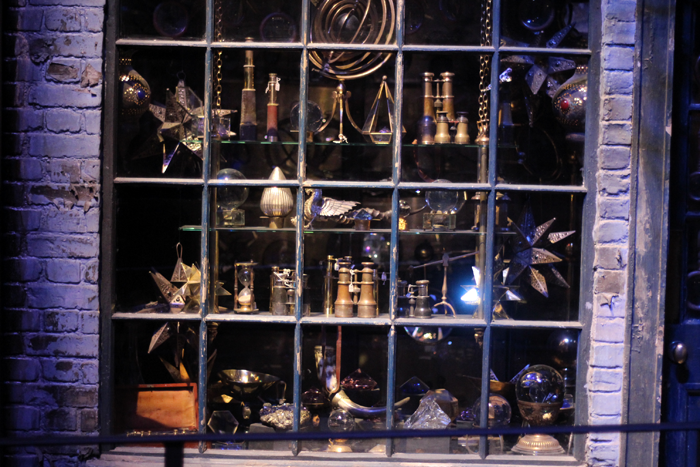 I really, really want to go to the Harry Potter Studio Tour, it looks amazing! A perfect English summer then?! I really want to do the harry potter tour again, maybe later this year! Hi darling:) The weather is awful also in Italy..but I've just come back from Malta, relaxed and a bit tanned, so I keep my fingers crossed for a sunny July!!! I too am loving the fact that Summer is here! I love not being cold all the time which is a bonus. Your photo made me desperately want to visit the studio tour. I cannot believe I haven't been yet. Such a lovely post, and I can't quite believe its July. Majorly envious too of anyone who saw London Grammers set...amazing! Even just seeing that photo makes me want to watch Harry Potter, sadyl I've still not been to the studio :(. July has started well for me as I've got a new house! Apart from that though I haven't got any plans other than working and catching up with friends! Hello Jeannie! I feel like I haven't read one of your posts in ages, it's good to see your words again (I always feel like your writing has such a distinct voice). It hasn't been very sunny here either - sweaty and stuffy but not very sunny. But, like you, I have a habit of being a grump if it's too hot! I hope you're having a lovely July. Hello to you and Ralphie bunny. Hope your keeping well. Would you believe, I spent an afternoon doing a similar cosmetics clearout too. Weather is lovely, have a lovely July month. I know how you feel. I haven't been very good about posting either. It's hard to get back in the habit and I'm not feeling so inspired lately! I wish you a wonderful July, Jennie!